When the Trump administration announced last fall it would phase out a program that provides deportation relief to thousands of undocumented immigrants who came to the U.S. as young children, Los Angeles teacher Miriam Gonzalez Avila didn’t want her students to think she could be defeated so easily — so she sued. Then on Tuesday, amid intense negotiations in Washington to decide the fate of DACA recipients like her, Avila received some good news: A federal judge in California issued a temporary injunction ordering the Trump administration to keep DACA benefits in place. As legal challenges against President Trump’s 2017 decision to phase out DACA work their way through the courts, the government must “maintain the DACA program on a nationwide basis,” ordered Judge William Alsup, who was appointed to the U.S. District Court for the Northern District of California by then-President Bill Clinton. Though an incremental victory for Democrats and immigrants’ rights activists, the Trump administration could appeal the injunction, and the program’s fate may ultimately be in the hands of the Supreme Court. 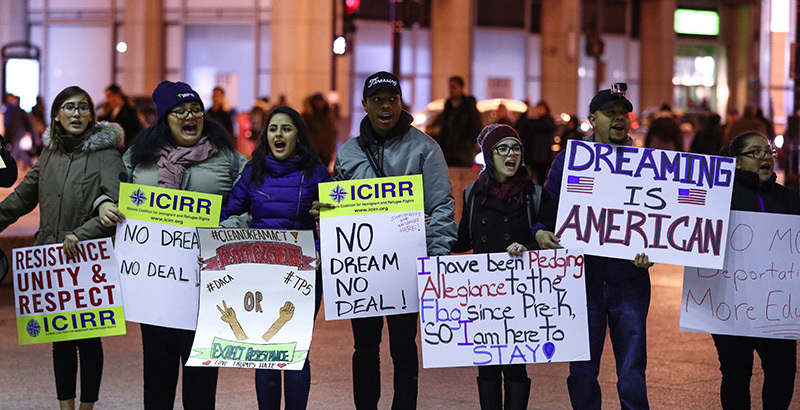 Reacting to the news on Wednesday, educators praised the ruling but maintained their call for comprehensive immigration reform as Congress and the president debate a permanent fix. Approved by then-President Barack Obama through an executive order in 2012, DACA has provided deportation relief to some 800,000 undocumented immigrants who were brought to the U.S. as young children by their parents, so long as they’re in school or have jobs. Calling the move an overreach of power, the Trump administration announced in September a plan to rescind DACA within six months, a move that sent shockwaves into schools across the country and drew quick criticism from prominent education leaders. In her lawsuit, Avila alleges the DACA repeal represents a “bait and switch” by the government when it encouraged young undocumented immigrants to out themselves for the DACA program and later revoked those protections. Also suing the Trump administration are the University of California system and its president, Janet Napolitano, which allege Trump’s decision to rescind DACA on “nothing more than unreasoned executive whim” violated the rights of the university and its students. As Homeland Security secretary under then-President Obama, Napolitano created DACA in 2012. In the order, the judge called out Trump for several tweets and television interviews in which the president appeared to favor protections for DACA recipients. Those tweets, the judge wrote, indicate that DACA’s continuation is in the public interest. Tuesday’s injunction came amid a day of intense legislative negotiations in Washington, where Trump vowed to sign a “bill of love” that spares DACA in exchange for money to build a border wall. While Democrats and immigrants’ rights activists have maintained they want a “clean Dream Act” that protects DACA recipients without imposing other sanctions, Trump and other Republicans have demanded increased border security. During those negotiations, however, Trump appeared to contradict himself several times about how he plans to proceed. Since DACA’s repeal, education leaders have warned the change could have a large effect on American classrooms, including the one where Avila teaches. Among the potential challenges are unexpected teacher shortages, since DACA recipients weren’t required to tell employers they’re undocumented. 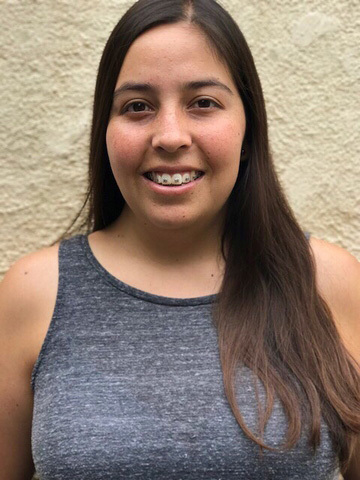 Avila is one of roughly 190 Teach for America educators and alumni who are DACA recipients, said Viridiana Carrizales, the nonprofit’s managing director of DACA Corps Member Support. Those teachers, she said, serve roughly 10,000 students in 11 states. Beyond TFA, as many as 20,000 DACA recipients are working as teachers in American classrooms. Last year, the advocacy group Stand for Children circulated a petition among educators, calling on lawmakers to protect DACA recipients. That petition has garnered signatures from more than 3,600 education leaders, including superintendents from Houston, Denver, and Baltimore. Jonah Edelman, the group’s co-founder and CEO, warned on Wednesday that the court injunction isn’t enough. Closer to the classroom, a majority of teachers say they support DACA, according to a recent Education Week poll: 46 percent of recipients said they “completely support” DACA, 22 percent said they “somewhat support” DACA, while 12 percent said they’re “somewhat opposed,” and 7 percent said they’re “completely opposed.” While 91 percent of teachers who voted for Hillary Clinton said they support DACA, 37 percent of Trump voters said the same. As for Avila, her DACA protections expire in March 2019. Though she plans to continue teaching next year, she said her future is in limbo.